WhatsApp is the most popular IP-based messaging app worldwide. Since 2017, the app has added live location sharing, the ability to export user data to follow GDPR requirements, and an option to switch from voice calls to video calls. New group features have also been added in the form of the “Restrict Group Permissions” feature, which allows users to restrict permissions to admins only to change the group subject, subject, and info, as well as the dismiss an admin feature for demoting an administrator. With the most recent update, administrators of a group could no longer remove the group’s creator. 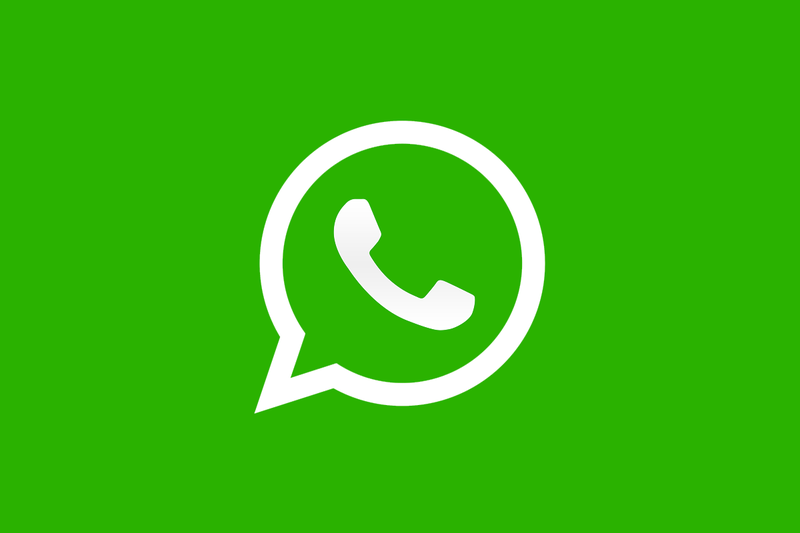 Now, WhatsApp has started rolling out the “Send Messages” feature for WhatsApp beta users in Android as well as for iOS and Windows Mobile users, according to a WABetaInfo report. This feature is being remotely activated for WhatsApp beta version 2.18.201 users, although the site mentions that the roll-out is slow for Android, while it is comparatively faster for iOS and Windows Mobile. It will soon be enabled for the latest WhatsApp stable version for Android (2.18.191). The “Send Messages” feature in groups lets group administrators disable chat features in a group. 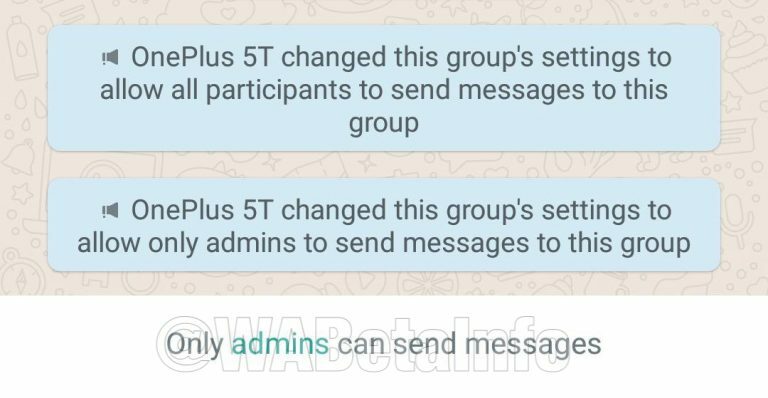 All other participants will not be able to send text messages, images, videos, and voice messages in the group if the “Only Admins” option is selected for the Send Messages feature. Group administrators are able to configure this setting by opening Group Info. Once the permission has been changed, all group participants will be notified in the group with a particular message. 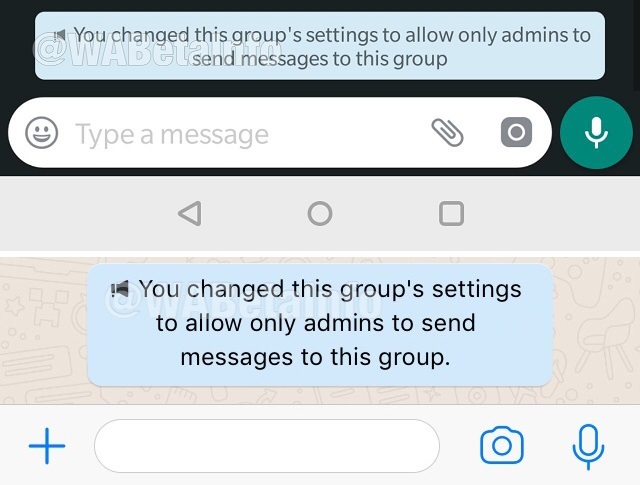 When the “Only Admins” option is selected by an administrator and only administrators can send messages, WhatsApp will hide the chat text input bar, alerting the user that messages cannot be sent. However, users can quickly contact administrators if they want an important message to be sent. Once the feature is enabled, users will also be able to configure it using WhatsApp Web. The “Send Messages” feature is a useful addition that can remove group clutter. For the first time, the administrators will have the choice to allow only the administrators themselves to send messages to ensure lack of interruption by other users. 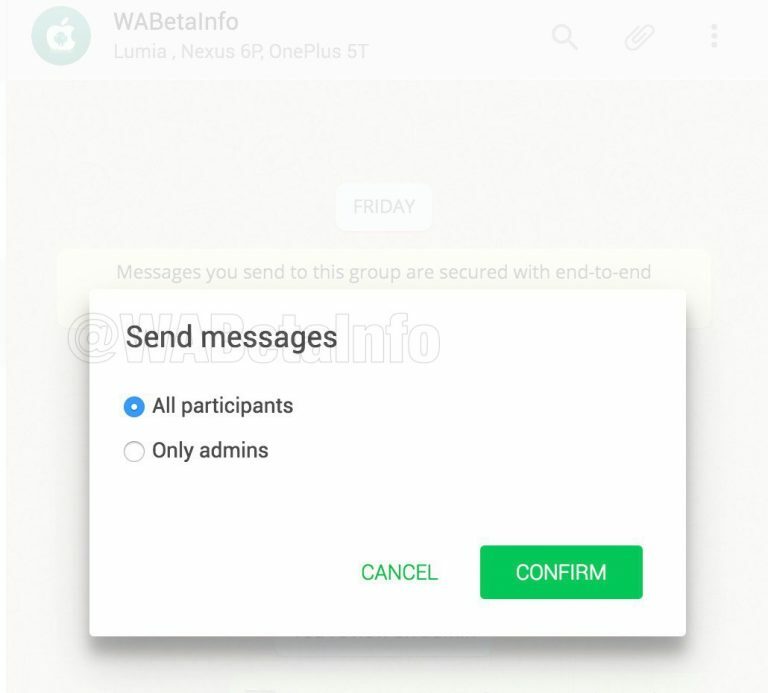 Users can also use the feature to close the group at night to block messages from users, and then re-open it it in the morning. Users can download the latest version of WhatsApp beta to use this feature. The feature will be remotely activated for users of the latest version of WhatsApp stable for Android soon.